Heading to the cinema this weekend? Well let me take you through the weeks new releases. Theses are the cinema releases December 16 2016 for the UK, US, Australia and New Zealand. This week sees the release of Rogue One: A Star Wars Story in the UK, US, Australia & New Zealand. Will Smith plays a New York advertising executive on a downward spiral. 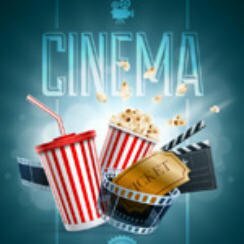 Cinema Releases February 9 2018 – Which of these movies will you watch this weekend?